I love this clip and the concept of solar roadways! The idea behind the panels is so simple, yet the possibilities for what could be done with it are endless. The integration of heat and LEDs I think is brilliant and solves so many of the problems faced on our roads today. As a driver I look forward to this being introduced to the US and also UK, but as an acoustician I would be interested in some of the aspects of their design; let me explain. The roads we have nowadays are smooth and even so, we get vast quantities of noise pollution near busy roads. This noise varies with speed: at lower speeds the noise is predominantly from the engine, however at high speeds it is dominated by tyre noise. Tyre noise is affected by the tyre material/texture depth and road surface as well as common factors to all noise such as Traffic flow, road gradient and percentage of HGV’s compared to normal traffic. Assuming all other factors would remain constant I wonder would the dimples seen on the design for the panels affect the noise created by the road? If so, I would then wonder why they would design it like that, specifically if it is meant to be designed for the future – to me making roads louder seems to be going back a step? Maybe there is a reason behind the design, I’m sure on a project of such magnitude there would be a considerable amount of testing, of which noise would definitely come into. However, if dimples are really necessary, I would wonder if maybe they could be used creatively? This reminded me of another roadway project that had been created elsewhere, one which is a musical road! It works on the principle of grooves in the road and when cars drive over them, the grooves resonate and cause a tone depending on their spacing and traffic speed, which when put together can create a tune. Maybe they should try that as part of their new solar panel roads, I mean if the noise is less annoying then there is less chance of complaint, right? There’s many interesting ideas for what could be done and where we could go with this concept and others for roadways of the future and I for one can’t wait to see them! What do you think of the solar panel road concept and the musical road? 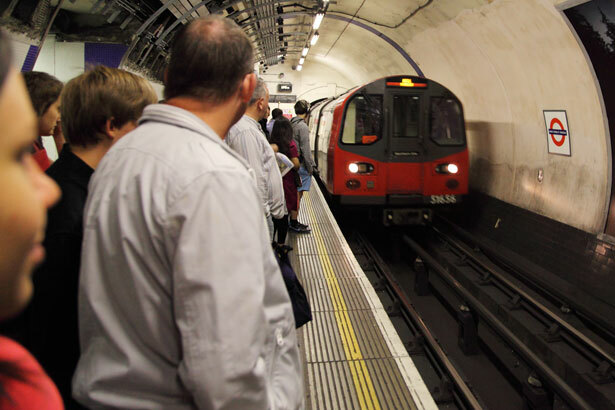 Would an increase in noise level put you off the idea of it? Interesting Post this by my course mate Chris, where he asks the question of whether we could use acoustics as a form of weaponry. Deterrents such as the “Long Range Acoustic Device” (LRAD) and “The Mosquito” are possible and have been used in society, however unfortunately as Chris discovers, acoustic weaponry, like that classic “Fus Ro Dah” attack is but a nice feature on a game (see Robert Bungay’s post). Today I received a Tweet with a question regarding a principle of acoustics, which I aim to answer in this post. 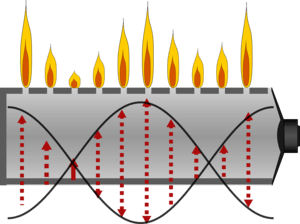 The effect that causes this pitch change is known as the Doppler Effect and regards the change in frequency of a sound source for an observer moving relative to its source. To understand how it works, a few basic principles must be underlined. Sound is created by pressure changes in the air, which is caused via vibrations of an object (e.g. a speaker). As the speaker vibrates outward, pressure is increased in front of it and as it moves back inwards pressure is decreased again because it is compressing and decompressing the air particles in front of it. These pressure changes travel through air, away from the speaker, at a fixed speed of 344 metres per second. To play a lower pitch (or frequency) sound, the speaker vibrates slower (less vibrations per second). As the pressure variations (sound waves) move away from the speaker at the same speed no matter what frequency is made, there is a greater distance between the sound waves at lower frequencies (as the sound wave has had more time to travel further between the speaker vibrations). 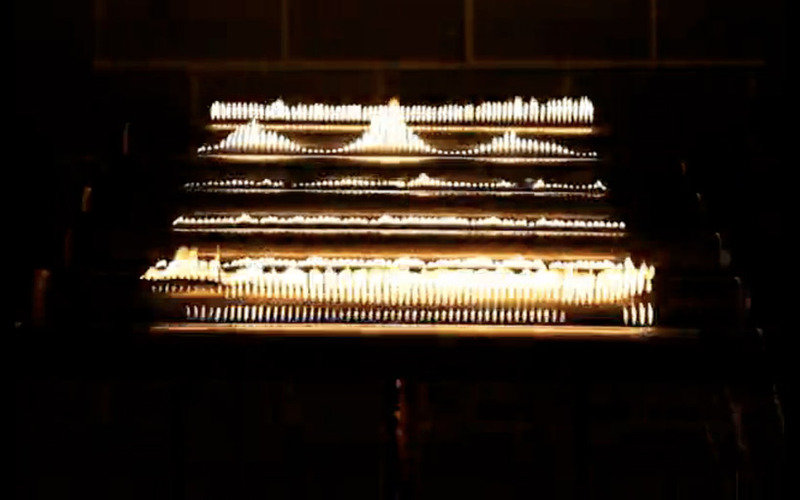 The lines around the fire engine represent the sound waves travelling away from it. 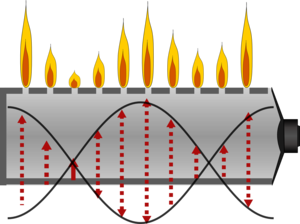 As the engine moves forward, the speed at which the sound waves travel away from it (in the same direction the engine is traveling) decreases because it is like the engine is ‘chasing’ the sound waves. This causes the distance between sound waves to decrease. This also means that the engine is ‘driving away’ from the sound waves travelling away behind it and, like said previously, a greater distance between sound waves relates to a lower frequency. This means that if you are standing on the side of the road and an ambulance drives past with its sirens on, as it comes toward you, it sounds higher as the distance between sound waves is short, but as it has gone past the distance between sound waves increases and it has a lower pitch. This effect creates the classic sound we are used to when we want to recreate the sound of a car going fast, because the greater the speed of the vehicle, the closer its speed is to the speed of sound, the shorter the distance between the wavelengths in front of the vehicle and the more noticeable this effect becomes. If you are in the vehicle however, this effect is unnoticeable because you are at a constant distance from the sound source (e.g. the siren/engine) meaning that the sound does not change relative to you. Also, if you are standing on a path and a vehicle goes past very slowly, it is not noticed as the difference between the speed of sound and the speed of the vehicle is so great that there is no noticeable effect. As an aside, you may wonder what would be to happen if a vehicle did go faster than the speed of sound. This can happen, but only in planes as 344 metres per second is the same as 770mph. A sonic boom is created when this happens and is the sound of the shock waves as the object passes this speed. This article was written by my course mate and good friend Dom Attwell, who writes about the perception, theory and practical effectiveness of gun “silencers”. A very good article worth reading, one of the best I’ve read for a few weeks! To begin, I must iterate that I am not a gun specialist. I have never even held a firearm that didn’t shoot BB-pellets or lasers. That said, my kill-death ratio on computer games is out of this world… literally (I mostly play Halo). 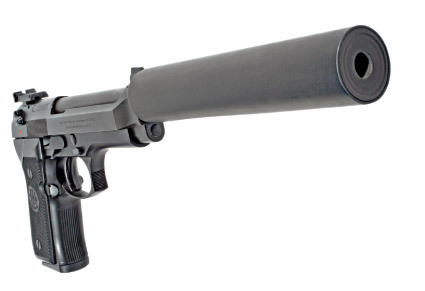 I get a lot of questions concerning the efficiency and plausibility of gun silencers. Hollywood tends to take great artistic liberties with these ‘magical’ devices, with the explosive discharge of these lethal weapons sounding more like a kitten sneezing. There are some noises in life that are really annoying and others that we just learn to live with; aircraft and airport noise are often subject to a lot of debate as different people would put them into different categories. But with it being such a hot topic, how do the airports keep track of their noise emissions? First of all, we must understand what causes aircraft noise. There are 2 sources of noise from aircraft: air friction (as it passes over the wings or fuselage) and engine noise. These both occur in the direction of the planes travel (i.e. most sound travels in the direction of approach/descent) rather than travelling sideways from the runway. There are 2 main methods that are used to keep track of airport noise, both with their advantages/disadvantages. The first method is to measure the Sound Level created by one aeroplane taking off, then to add levels accordingly depending on the number of flights that will occur. An average Sound level for the whole period of time can then be calculated, depending on the number of flights. This is often used in prediction of airport noise, as it is quick and easy. However it is not always accurate because each plane makes a slightly different level. The second method is to measure what is known as an LAeq. This is where a fixed microphone is set up so the sound level can be measured over a prolonged period of time for many departures/arrivals. Because the sound level varies with time (i.e. increasing when planes take off) it is then averaged. From this, the constant equivalent level (hence the eq part of LAeq) that would have to be made to create the same overall noise level can be calculated. At Norwich International Airport (NWI), my local airport, 3 fixed microphones are placed on the airport perimeter, so that the noise levels are constantly monitored and do not exceed regulations. One problem with airport noise is that some planes take off at night, which is a time where the noise is generally considered more of a nuisance. For this reason another measurement can be made using the LAeq, which takes this into account. The night day and evening measurements are done separately and then the evening one has 5dB added to it and the night one has 10dB added to it, because they are perceived as louder at night. These new values are then averaged again over the whole time period of a 24-hour day. With these measurements, noise maps can be made, where ‘contour’ lines mark different dB levels. In 2005 NWI commissioned an external body to produce a noise map for its surrounding areas. The values used for these maps depend on a day-to-day basis, but are an average over a period of time. Factors such as wind direction/speed and flight path can affect these, but measures are taken by airports to take this into account (e.g. flight paths over lesser populated areas). You will see, as stated before, that the noise mainly travels in the direction of flight and the levels are greater towards the ends of the runways; this is because of the noise created by the engines and the friction on the wings in takeoff/landing. In order to get an idea of comparison, 65-70dB is roughly the level of a busy restaurant or a busy A-road, which is 20m away. The background level for a housing area would generally be expected to be up to around 50dB without noise from the airport. A general rule of thumb for sound is that it will decrease at -6dB for every distance doubling (e.g. if you are at 5m and it is 85dB then at 10m it will be 79dB). This rule is true if there are no reflections, so in reality it is often not quite this much. This rule can be seen on the maps where the distance between the contours increases the further away from the runway. For many, the airport can be seen as a nuisance and should be made to reduce noise; in ways this has happened as planes have become quieter, but despite this there has been an increase in the number of planes. For local authorities, noise complaints need to be assessed as whether the source (i.e. the airport) has many pros (e.g. local jobs). Also, the type of nuisance needs to be addressed as to whether it is interfering with the individual’s enjoyment of their land or whether it has affected many. What are your views on your local airport; do you feel like the disadvantages of the noise outweigh the benefits of the airport? *dB stands for decibels which is the units we use to measure sound. 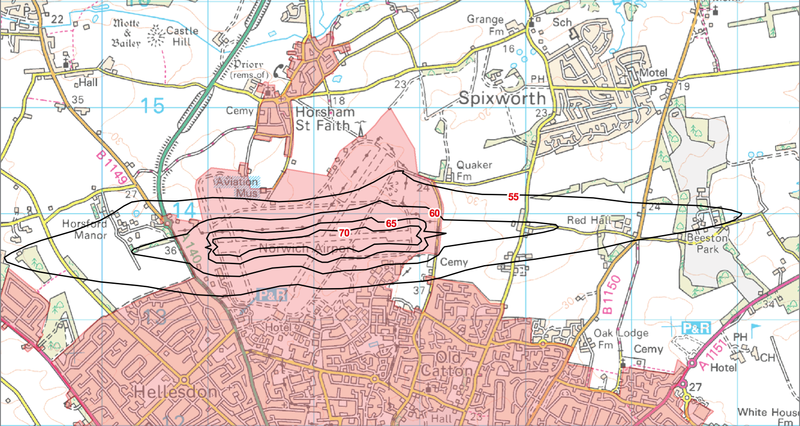 Thank you to Norwich International Airport for kindly supplying me with the noise survey data in order to write this blog.